If you keep your antennas up, you may notice that you’re gradually being nonchalantly hemmed into a situation that, once you figure out that it’s happened, and how good old so-and-so and their secretary Miss Whatshisname have has enticed you to walk precisely into it, you’ll probably be a bit pissed off that you didn’t see it coming sooner. 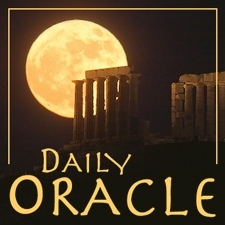 Today’s Oracle takes us to the Libra weekly for Dec. 10, 1999. If you keep your antennas up, you may notice that you’re gradually being nonchalantly hemmed into a situation that, once you figure out that it’s happened, and how good old so-and-so and their secretary Miss Whatshisname have has enticed you to walk precisely into it, you’ll probably be a bit pissed off that you didn’t see it coming sooner. To avoid said situation, take heed now that you don’t forfeit any of your choices, no matter how much authority, intimidation or sweet talk people use on you. Seemingly little decisions you make today will have effects for weeks. Just keep your options open.